Coming Soon - Black Friday and Cyber Monday! Set your alarm clocks because the Black Friday shop is ALMOST HERE! 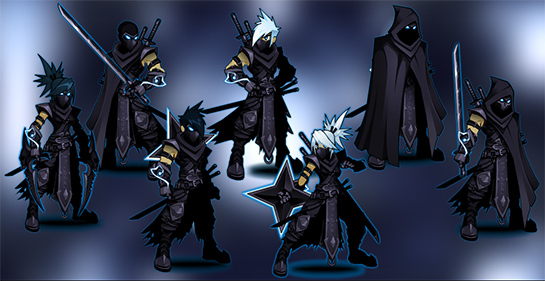 Featuring the rare BladeMaster Assassin CLASS, armor set, houses and house items from Dage the Evil plus a ton of gear from Blade, Tana, and your other favorite AQW artists - the darkest shop of the year is also one of the brightest spots in our calendar! DOUBLE set your alarm clocks because the Cyber Monday shop is ALSO almost here! Featuring an all-new Cyber house from J6 plus cyberized base classes and an overclocked Void armor set from Laken, and super-charged weapons from Osu, this is going to be one super-cyber shop you won't forget! 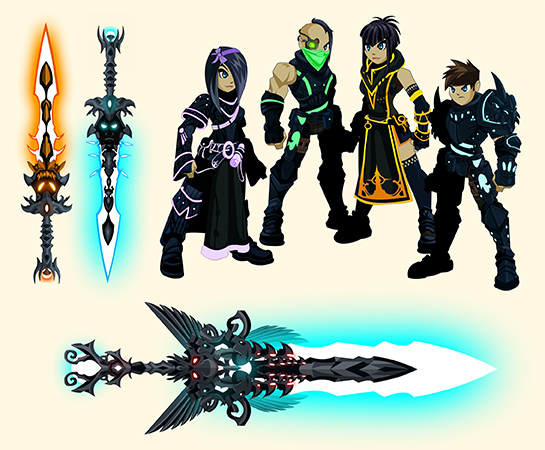 Keep an eye on Twitter for more Cyber Monday previews as they are created!